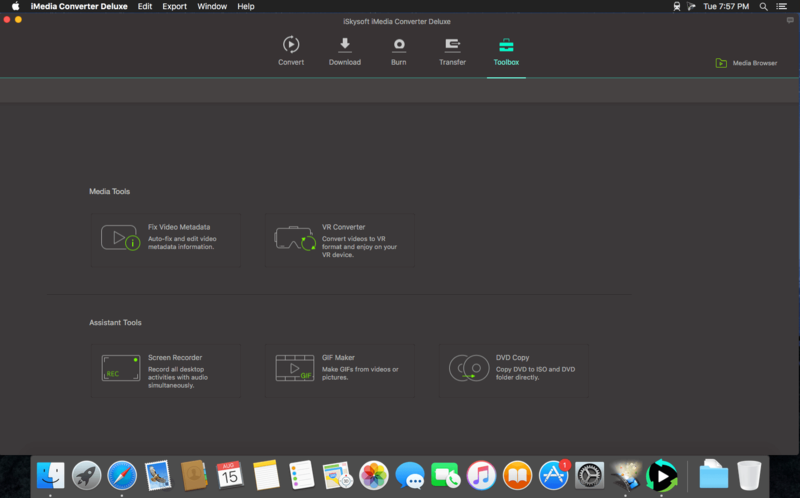 iSkysoft iMedia Converter Deluxe for MacDo it all - Convert, download, edit video and burn. Rip, download, convert and burn in one package. 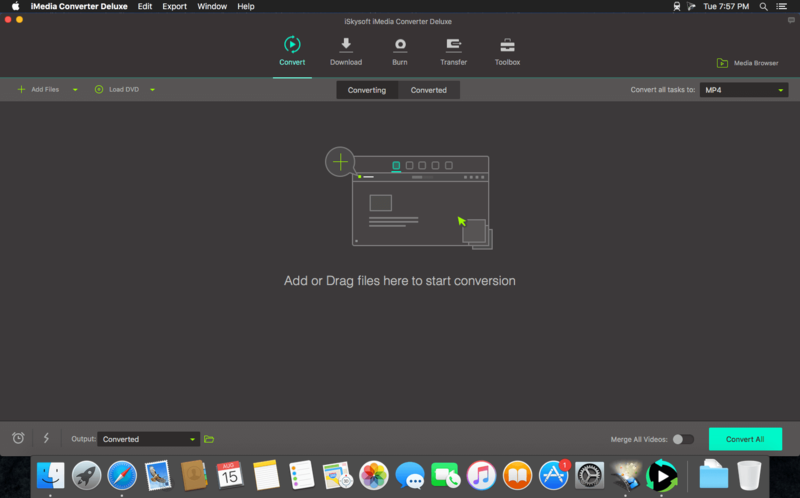 iMedia Converter Deluxe provides an all-in-one solution for media management. 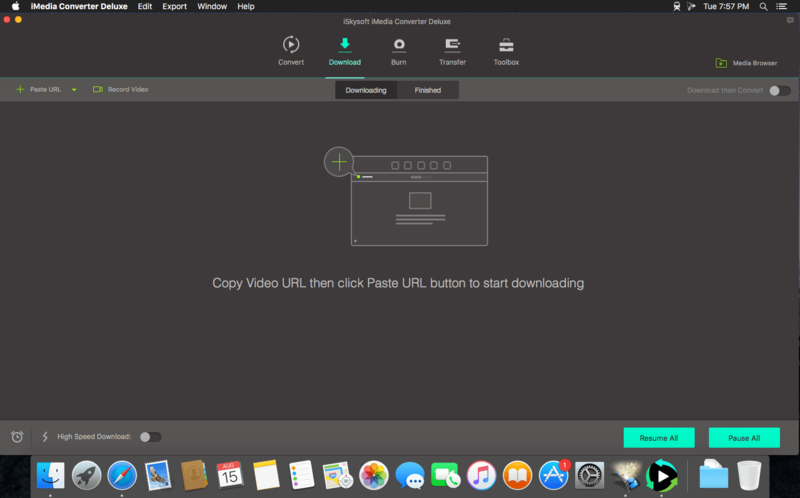 In addition to providing all the features of iSkysoft iMedia Converter, it offers the ability to copy disk, create and download web video, giving the best value for money. Easily load home DVD movies into the application and convert to virtually any format you want. It's easier than ever to watch your movies on your portable device.